I’d been hearing about this book for months: it was all over book blogs, end of year lists. I was excited to read it, as much for the positive buzz as for the genre blend that seemed right in my sweet spot: Regency-era England, with fantasy and magic, and some chewy social commentary. That said, I had a little trouble getting into reading it. I felt like the start was slower than I wanted. But, on reflection, I think that’s actually a compliment to the book and the level of commitment to worldbuilding. There were two things in play: an intricate magic system entwined with social structures (and strictures) of the Society of Sorcerers, and Regency English history for one. Even though those factors contributed to the slow start I had in reading it, I think, ultimately, they worked to make the book stronger and more impressive. Cho committed wholeheartedly to setting up the Regency English magical world, down to details of narrative prose. Entire passages wouldn’t have been out of place in a Georgette Heyer novel. And once I got used to being in the world of Sorcerers and familiars and the way that magic played into social structures and English politics, I was even more impressed with the way it all worked together: juggling worldbuilding and such conscious language with that level of strong character development can’t have been easy. Unlike the typical Regency novel (or fantasy novel for that matter), questions of race and social constructs were front and center: The point of view shifted between Zacharias, the Sorcerer Royal, and Prunella, a young woman with magical talent navigating a society where both her gender and her race worked against her with regard to society’s expectations of women in her station. Magic, in this version of England, is reserved for gentlemen sorcerers, doing politics. There were multiple layers of politics, the politics of the gentlemen sorcerers jockeying for position, politics on an international level for England, as well as politics between the Fairy realm and the real world. Prunella’s presence added questions of gender and women’s magic to the mix. 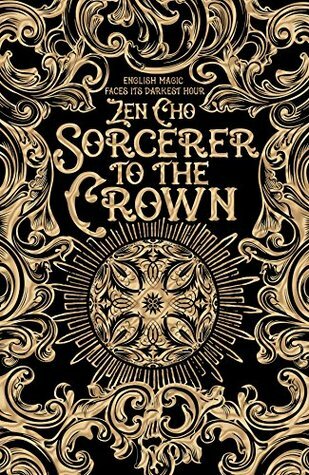 Getting to see both her untrained magical resourcefulness, and Zacharias’s reactions and expectations helped explain how magic and gender worked in that world. Goodreads seems to indicate this is book one of an ongoing series, but the plot read as a self-contained and properly concluded story, so no sequel warning needed. Not sure if others would find the start slow enough to comment on, but ultimately, I think it was a worthwhile read, and a smart, solid fantasy that stands out from the usual fantasy trope-fest.